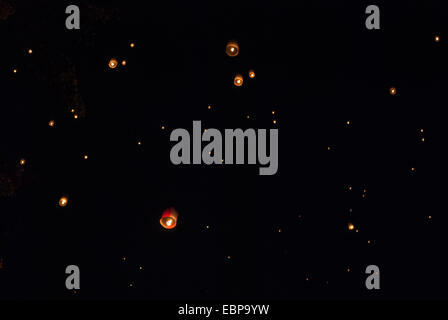 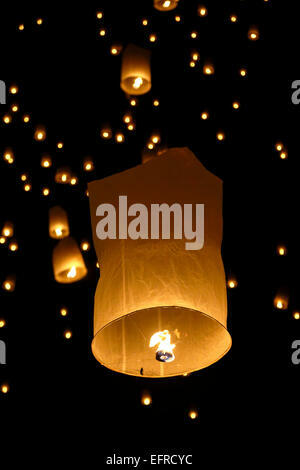 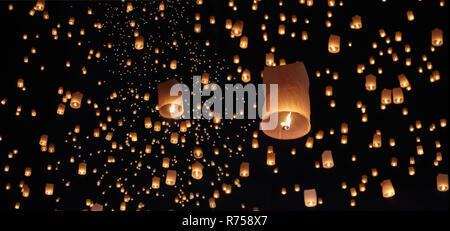 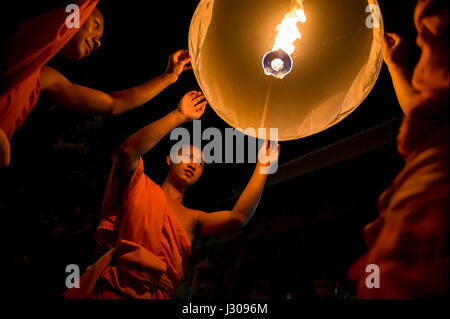 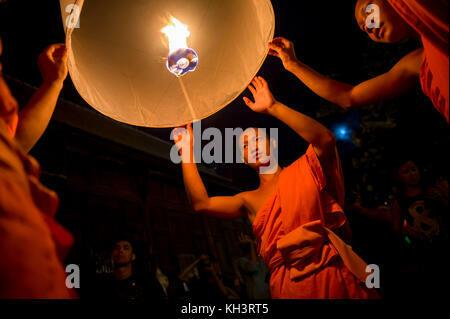 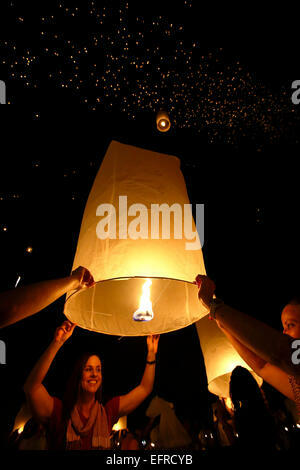 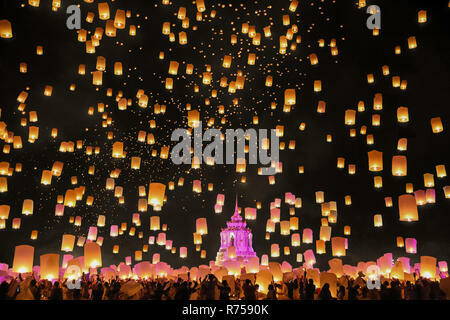 Chiang Mai, Thailand - Nov 24: Tousand of people launch khom loi sky lanterns into the night sky during the Yi Peng Festival on November 24, 2012 in Chiang Mai, Thailand. 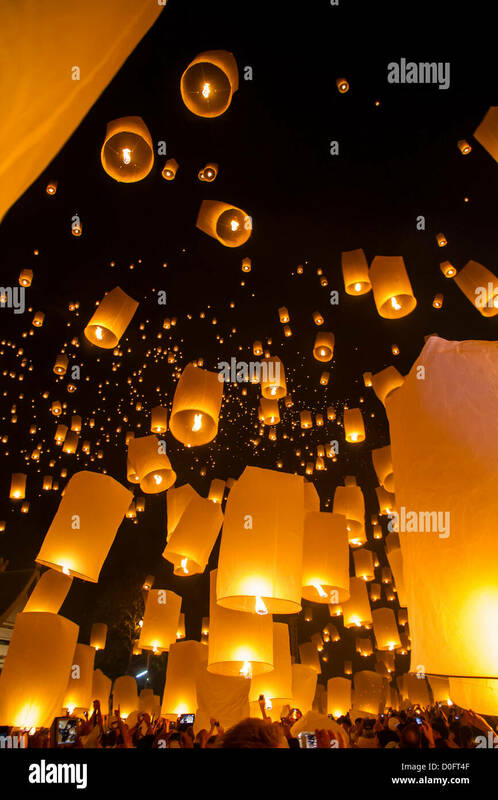 The Yi Peng Festival is a traditional festival just ahead of the Loy Krathong Festival, which celebrates the full moon of the 12th lunar month in the Buddhist calendar. 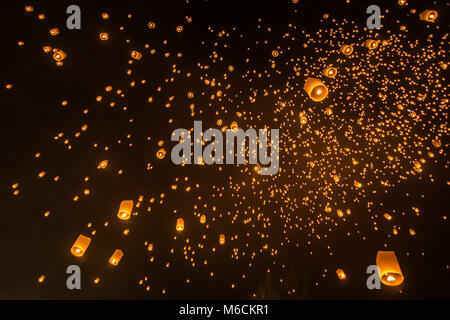 During the festival floating lanterns are launched into the sky in the belief that grief and misfortune will fly away with the lanterns. 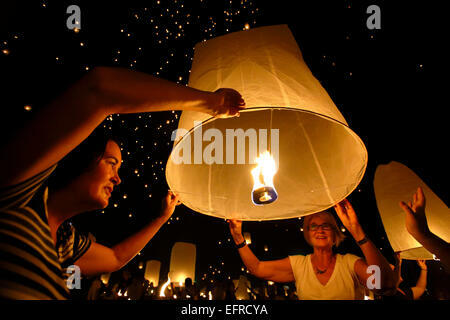 Touristische schwebende Himmelslaternen in Loy Krathong Festival, Chiang Mai, Thailand. 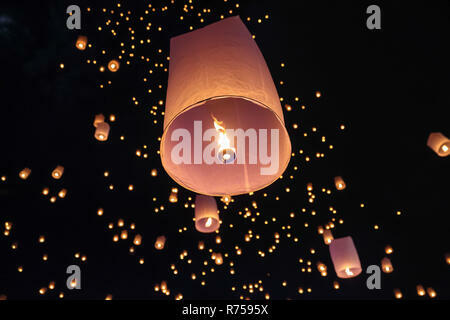 Viele feuer Laternen schwimmt auf dem nächtlichen Himmel in Loy Krathong Festival in Chiang Mai, Thailand. 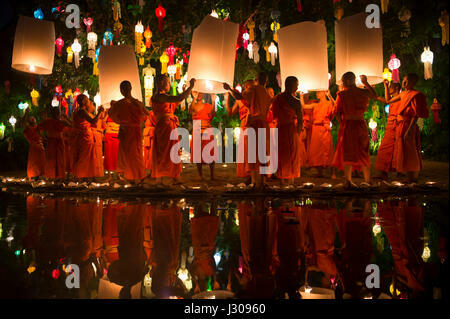 Chiang Mai, Thailand - 07 November 2014: Gruppe von buddhistischen Mönchen starten Himmelslaternen bei der jährlichen Yee peng Festival der Lichter im Wat pan Tao Tempel. 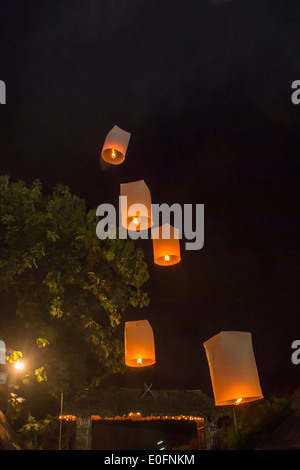 Laternen erhellen den Himmel in Chiang Mai eine das Loy Krathong fest.